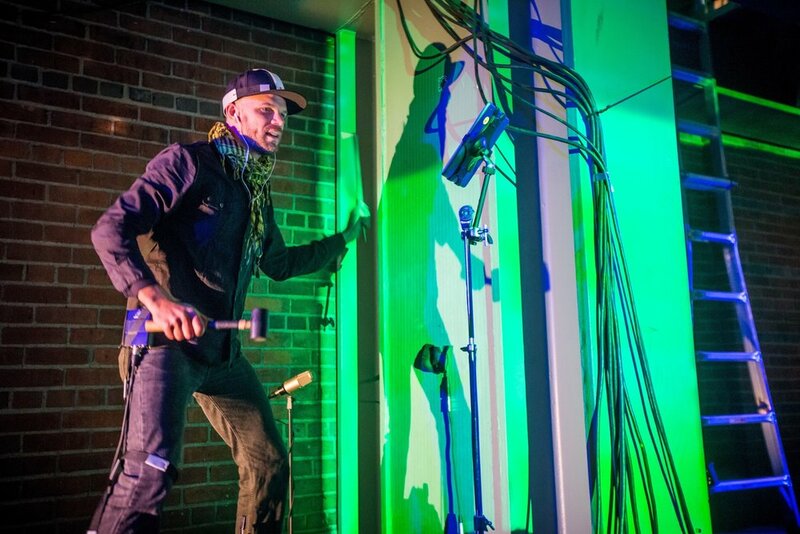 “Waking the Monster,” transformed Boston’s most iconic structure - Fenway Park’s Green Monster - into a three story percussion instrument. 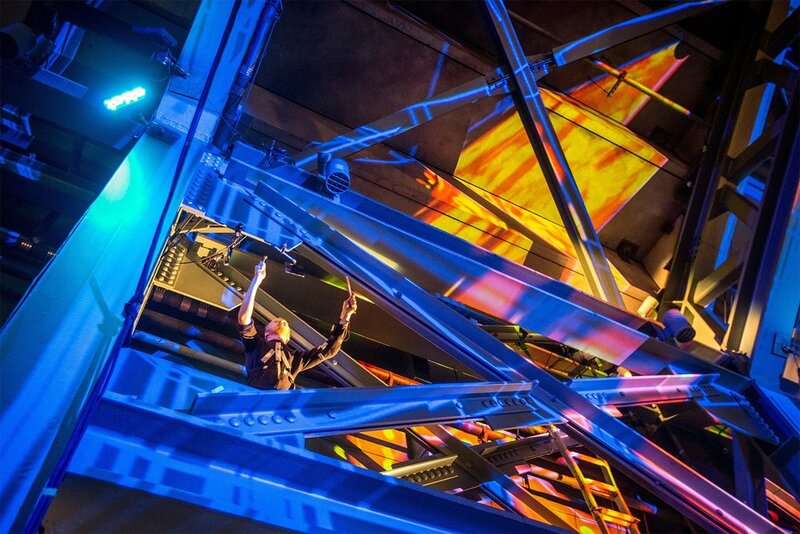 Nine percussionists mounted the structure to perform six compositions commissioned specifically for the Monster as an instrument. Four musical acts, a violinist/singer, trombone ensemble, and DJ/drummer duo supplemented the program with pieces throughout the event. Eight triggers were placed on the structure, which interacted with the animation at specific moments in the compositions. The theme, color scheme, and movement of the animation varied from piece to piece, working hand-in-hand with the music. 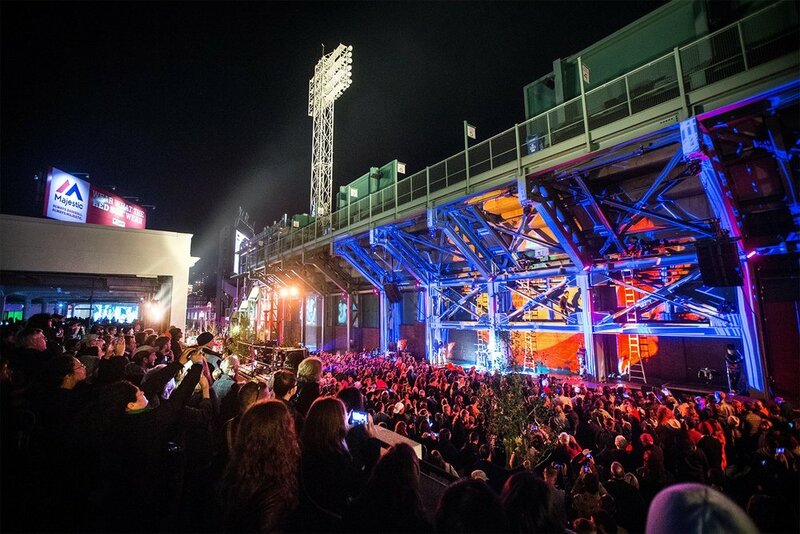 The performance drew over 30,000 visitors to the festival on Lansdowne Street.